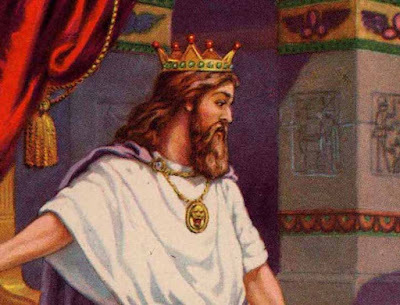 This article seeks to demonstrate the role of the Davidic House of Nathan and its role in European and World History. The House of Nathan originated with Prince Nathan the son of King David and the Queen Mother [Givirah] Bathsheba. Nathan was the younger brother of King Solomon. This House of Nathan is mentioned in the Old Testament Book of Zechariah in the 6th century BC. Zerubbabel ben Shealtiel was a member of this House and the Leader of Judah’s restoration. Nathan’s mother Bathsheba was the Givirah or Queen Mother of Israel. She was enthroned beside her son King Solomon as were all the Davidic Queen Mothers from this time onwards. This article accepts a revised Chronology of Egyptian History as first proposed by Velikovsky. Bathsheba was the granddaughter of Pharaoh Amenhotep. Her cousin was Princess Maacha of Geshur. They were of the Royal Line of Egyptian Princesses. This female descent entered through them into the Davidic Royal line and was known as the Geveret Line of Princess Royals of the Davidic House. 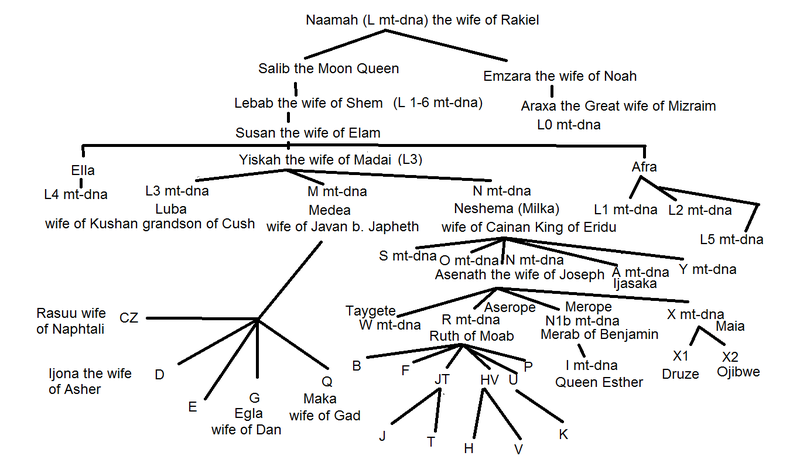 The line of Davidic Geverets (Ladies of the Royal Line) descends from Maacha’s daughter Princess Tamar. Princess Tamar’s granddaughter was the Givirah Maacha who was a wife of Solomon’s son King Rehoboam. Rehoboam and Maacha’s descendant King Amon’s daughter Hepzibah married Elisama of the House of Nathan. Elisama was the son of Prince (Chief) Her of Nathan’s lineage. His grandson Nenuall married Scota the daughter of King Zedekiah of Judah and his Egyptian Royal wife, the daughter of Pharoah Necho. In the 2nd century BC the sons of Galam led the Godoli to Ireland. At this time Ireland was ruled by the Tuatha de Dannaan. The Godoli were at this time the Leaders of the Milesians who were the ruling Warrior Class who had come to the Celtic Lands of Iberia and Gaul in the 4th century BC to rule over the Tribe of Ephraim. These Celts or Cymri belonged mainly to the clans of Erani and Beredi of the Tribe of Ephraim. Gilead ben Nathan was the grandfather of Brude (called Brutus by Geoffrey of Monmouth), the father of Breoghan or Brigus who succeeded his father as paramount King of the Celts. Breoghan was known as Brennius to the Romans who led a Celtic attack on Rome in 390 BC. Brennius’ son was Bile or Beli who was later worshipped as the Celtic Sun God being confused with the cult of Helios (Helias /Eliyahu /Elijah). Bile’s son Galam was also called Milisius or Milad as Leader of the Red Militia. Galam’s two sons Eremon (Heremon) and Heber Fionn lead the Milesians and the tribes of Ephraim to Ireland. Heber ruled in the south where the Erani clan settled and Heremon of Emania in the North ruled over the Beredi. Eremon’s descendants Gub and Catluan led many of the Beredi into Britian and became known as the Caledoni or Picts. Other groups of the Beredi were the Brigantians and the Catevallauni. Mar Joseph and his eldest son Nathan the Red were involved in trading and owning Tin mines in Southern Britain in partnership with the Exilarch Solomon II of Babylon. 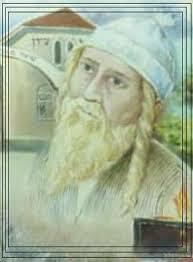 Simeon Breac who went with his cousin Nathan to Spain to bring back the Stone of Jacob to the British Isles. In Ireland it was called Lia Fail or the Stone of Destiny. The successors of Red Nathan were called the Great Red Kings or The Red Lords of Heber (the Hebrews). They were the leaders of the Militia of the Red Branch and Guardians of the Sword of David and the red sandstone Stone of Jacob. The Sword of David was also called the Sword of Light and the Sword of Nuada (Nathan). Red Nathan was remembered as a great legislator. His arrival had been prophesied by the prophet and learned King Irial Faidh the son of Eremon. The prophecy of a red head who would rule Ireland called Ruadh [Red Nathan or Nectan Ruadh i.e. Nuada Nect] because of his red hair was passed down the centuries. was seen as a fulfillment of this prophecy in his day. In the 2nd century AD another red haired Nathan would arrive in Ireland from Britain. He was also known as Eoghan Mor and Mogh Nuada. He was the son of Nathan (Nudd/Ludd) and his wife Eurgen of Britain. Nathan (Nudd/Ludd) is the Nosan Ukvon ancestor of the Babylonian Exilarchs. Mogh Nuada battled with the Great Red Lord of Heber known as Conn Chobar or Conn of the Hundred Battles. Conn was also known as Red Abra and Heber Mor. The title Mor had developed from the Hebrew title of Mar for those of the Davidic Family. The name Conn means Lord or King and is the Celtic equivalent to Mar. Its variants are Conan, Cynan, Cun, Cuno, Chunan, and Chuna. Conn in Irish can also mean Dog and could be asociated with the Hebrew “Caleb”. After fighting many battles Conn and Eoghen Mor split Ireland between them and Eoghen Mor married Conn's daughter Bera. The name Eoghen is a variant of Yochanan and Yohanna. Conn was the King of Leinster and Eoghen Mor was king of Munster. This new Nathan established the Order of the Golden Torc (Chain). Conn's son was Art Fiachu is associated with the Fenna Fail. These Irish military orders would be a source for the tales of the knights of the Round Table. There is a great cycle of stories about Conn Chobar and his Knights of the Red Branch. 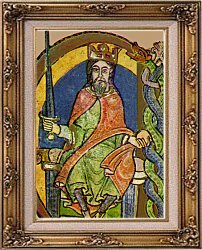 King Art Fiachu was an Irish ancestor of the famous Arthur of Britain. King Art Fiachu married Aioffe the daughter of Yochannan (Jonaans) of Britain and his wife Cesair (Basilda) daughter of King Marcomer IV of Franks and his wife Athildis of Britain (daughter of King Lucius). Art Fiachu and Aioffe were the parents of Sabh (Sabina/Mabh) who married Oillill Olum King of Munster the son of Eoghan Mor and Bera. 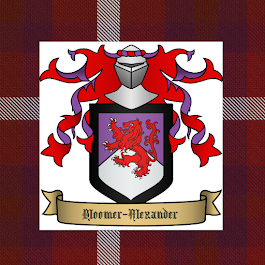 They were the ancestors of Fergus Mor of Dal Riata on the direct male line. This article draws on the Welsh, Irish, Scottish and French traditions, genealogies, legends and Romances. It sets out to explain how the descendant of King David known as Mar Joseph in some traditions was connected with Britain and its Royal History. Most of the ancient genealogies of the Welsh trace their Kings back to the figures of Beli or Heli, Nascien, Bran and Joseph of Arimathea. The traditions proclaim the Davidic descent of the ancient British Kings. The Patron Saint of Wales was St.David who was also of Davidic descent. We also find a Royal David who was King of Scotland. In these traditions we also find the name of Nathan and its variants Nascien, Nacien, Nectan, Nectu, Nyssien, Naisi, Nosan, Nuada, Nodens, Nudd and Natan. The medieval Romances of Arthur and the Grail came forth firstly in France from the same region as the Romances of Aimeri of Narbonne. These Romances were spread by the Troubadours of Provence and Aquitaine. The Troubadours of France seemed to have access to a rich tradition coming from the Royal descendants of Machir Theodoric of Narbonne's family. Until the mid tenth century many of these families such as the Counts of Toulouse and the Dukes of Aquitaine remained openly Jewish. Later generations sought to hide these Jewish origins. These trouvadors had access to information that connected these families to Arthur. From this same source in Southern France came the pre-Lurainic Kabbalah which seems to have much in common with the mysticism of the Holy Grail. 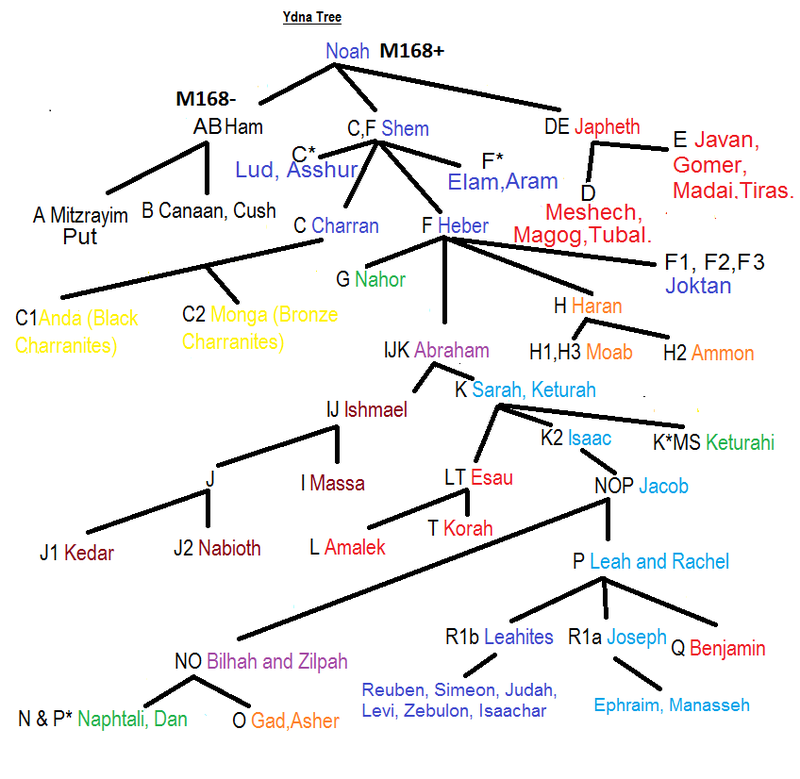 The Exilarchic Family preserved the tradition of a future Messiah ben Ephraim who would rule over the Lost Ten Tribes of which the Tribe of Ephraim was the leader. A future Messiah figure would come from Joseph's lineage. Arthur was a type of this Messiah and the Great Monarch would be like Arthur returned. He would be the new Galahad (Gilead). Joseph of Arimathea's son known as Josephes was in fact Gilead ben Joseph and Sir Galahad was one of his descendants. Note: This article was written many years ago before I studied the dna evidence and I now have come to many different conclusions about certain aspects of the identities and events mentioned here. My most radical change is that I now believe that the core of the Slavic peoples who are R1a y-dna are the Ephraimites. russia and the Slavic nations are the nation and company of nations.